Thousands of people are currently pursuing a Stryker hip replacement lawsuit for injuries and complications they allegedly sustained due to the failure of Rejuvenate and ABG II Modular-Neck Hip Stems. Among other things, the complaints allege that the recalled metal hip components were never subjected to enough testing to ensure their safety. The litigation involving these hip implants is moving forward quickly, and had already resulted in a handful of settlements by the summer of 2014. 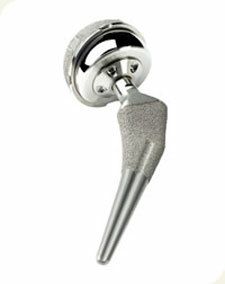 Plaintiffs in Stryker hip replacement claims point out that the Rejuvenate and ABG II stems were approved for sale via the U.S. Food & Drug Administration’s (FDA) 510(k) program, which does not require that a device undergo human testing if it is shown to be similar in design to another product already approved by the FDA. According to Stryker plaintiffs, this manner of approval allowed the hip stems to be implanted in thousands of people before their safety issues became apparent. Several consolidated litigations have been established in U.S. courts for product liability claims involving the Rejuvenate and ABG II medical devices. These include a multicounty litigation currently underway in New Jersey’s Bergen County Superior Court, as well as a federal proceeding established in the U.S. District Court, District of Minnesota. The Stryker hip implant cases include in these litigations have been consolidated for the purposes of coordinated pretrial proceedings, including discovery and motions practice. In January 2012, Stryker announced that it had retained Broadspire Services, Inc., a third-party claims administrator, to work directly with patients to manage medical claims and address out-of-pocket costs relating to the Rejuvenate and ABG II recalls. Individuals who receive a Stryker Broadspire letter from their doctor with information on this program should speak with a lawyer before contacting the claims administrator to ensure their legal rights are protected. Among other things, potential claimants should be aware that any information provided to Broadspire could be used as evidence in any Stryker hip replacement lawsuit they are pursuing. In 2013, the judge overseeing Stryker hip lawsuits in New Jersey launched an Early Mediation Program as a way of possibly speeding resolution of cases pending in the multicounty litigation. As part of the process, the attorneys for plaintiffs and the defense chose a panel of six third-party mediators, and a small number of representative claims were chosen for mediation. In April 2014, the judge overseeing the federal Stryker hip replacement litigation in Minnesota ordered the parties to explore ways of coordinating with New Jersey’s mediation program. By June 2014, it had become apparent that the Early Mediation Program had met with some success. At that time, the Court reported that settlements had been reached in 17 of 18 cases that had gone through Phases I and II of the program. However, the Court has not disclosed any details of those Stryker hip settlements. Phase III of the program was soon to get underway.